Cameron Crowe's Almost Famous has a place in my all-time top 20 list and serves as a taste barometer for friends and lovers. One doesn't have to love Batman, Airplane, or Field of Dreams, but if they don't like Almost Famous or The Mask Of Zorro, it just isn't going to work. I wish I could say that Cameron Crowe's Elizabethtown was another triumph in the same vein as Almost Famous, or at least Jerry Maguire. That it is in fact a near complete catastrophe is heartbreaking. 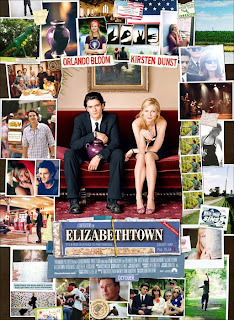 Elizabethtown is a stunning failure, plain and simple. The plot: Drew Baylor (Orlando Bloom) has been fired, having lost his shoe company $972 million over a poor selling shoe that he designed. Just as he is about to kill himself, he gets a call that his father has died and that he must fly to Kentucky to retrieve the body so that dad can be buried in Portland, where his mother and sister (Susan Sarandon and Judy Greer) live. On the flight to Kentucky, Drew is bothered and hassled by one of the flight attendants (Kirsten Dunst). The rest of the film concerns Drew dealing his dad's small town relatives (all of whom are 'we southerners are REAL Americans' stereotypes), and then eventually dealing with his father's memorial service and his own 'spiritual' journey. None of these characters are fully fleshed out, and the film lacks a simple flow, seemingly bouncing, half-haphazardly, from one overacted and choppily edited moment to the next with no connecting tissue. Especially during the truly dreadful first half, the film is not a story but a collection of scenes that aren't truly connected. Poor Orlando Bloom is forced to deliver some of the worst written and overwrought voice over imaginable, and forced to deliver countless trite, hackneyed monologues, to himself no less. Not even Morgan Freeman could have sold this voice over and not even Gene Hackman could have survived these monologues. In terms of dialogue with Drew speaking to another person, Bloom has fewer lines than a Charles Bronson character. The flight attendant, Claire Colburn, is the sort of attractive, completely supportive, and conveniently wise dream girl that only exists in the movies (in real life, she'd either lose interest in a week or show her true, frighteningly clingy and needy nature). Unlike past idealized Crowe females, there is no real human being underneath Claire, and the romance takes the shape of two people who don't get along that well, but stay together because they read the script. Aside from the thin lead characters (and the fact that none of the peripheral characters, save Susan Sarandon, have any real moments), the very logistics of the plot defy reason, to the point where they hamper the enjoyment of this would-be fable. The shoe failure subplot is unrealistic and absurd, which undermines the entire story that follows, since much of Drew's journey involves dealing with his own sense of complete failure. Why was there no research or regional product testing of this billion-dollar shoe? And, how does someone make a 3-dozen CD collection of mixed music, along with detailed instructions, all properly labeled and narrated, in three days? 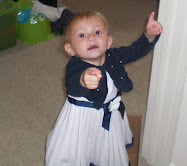 It apparently also takes only three days to become a talented tap dancer. These are details that are missed in a novice script, or a script intended for young or unthinking audiences, not in a script by the man who wrote Jerry Maguire. Because the audience will be rolling their eyes in disbelief or annoyance, even the two or three set pieces that almost work emotionally will be undermined by these logic gaps. Even the patented oldies soundtrack harms the movie, as the film is truly suffocated by musical cuts and musical montages that not only overwhelm everything else, but also are often poorly placed and incorrectly chosen. Elton John's 'My Father's Gun' and Tom Petty's 'Learning To Fly' are used so well in the trailers, but are placed in the film seemingly at random with no real context for their use. In the end, Elizabethtown has all the hallmarks of a Cameron Crowe movie, but none of the poetry, potent artistry, and, stunningly, none of the simple professional competence of his earlier work. Elizabethtown is not the worst film released this year (there are two or three scenes that do work well enough to escape that distinction), but it is easily the year's most shocking slip up and most heartbreaking failure.